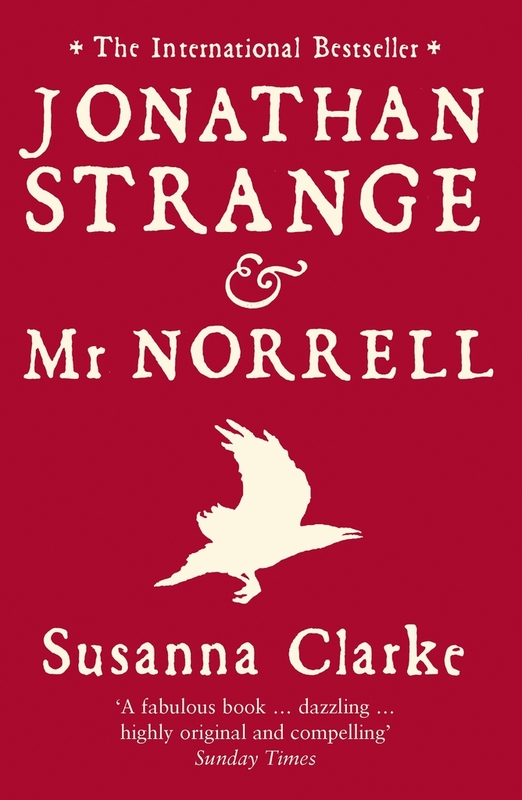 Jonathan Strange and Mr Norrell (JSaMN) was a very different novel than those that I typically enjoy. My tastes typically tend more towards standard epic fantasy, focusing on world shaking events—usually involving lots of wars and battles, and often filled with magic and power. While JSaMN has plenty of magic and power plays, the tone differs immensely, and it paints a very unique ornate portrait of the time period, while only occasionally getting around to some interesting plot points. The novel focuses mainly on the two titular characters, though we are not introduced to Jonathan Strange for quite some time. We spend the entire first third simply observing Mr Norrell’s quest to bring magic back to England—and to have control of it himself. He’s painted as almost despicable, a controlling, reclusive man who wants the power for himself. But when Jonathan Strange emerges as the second magic user in England in centuries, Norrell seems to welcome him as an equal—though he keeps his most important magical texts to himself. Throughout the novel, we are always intensely in a character’s viewpoint, and the book goes to extremes to show and not tell about their motives and methods. It makes for an incredibly immersive reading experience, while at the same time bordering on, but never quite being, wooden and boring. I think some of the wooden feeling comes from the style that Clarke is emulating here—it’s the stiff, formal style of the people in her book, characters on the upper crust of society in the early to mid 1800s in England. In this sense, it’s incredibly successful at making you feel like you’re there, in the world, and Clarke’s mastery of tone rivals that of Rothfuss or Kay. The plot of the novel itself moves incredibly slowly, and is often derailed by delightful footnotes, detailing this or that quirk of the worldbuilding, which is phenomenal. Clarke has managed to build one of the most realistic, yet simultaneously strange, beautiful, and enticing Earth analogues that I’ve ever read, and while her worldbuilding is subtle and often hidden, unlike the breathtaking brilliant alienness of a Hurley novel, the extent and thoroughness of it gives an incredible sense of the massive amount of work and care taken to create the world. Clarke takes every pain to make us believe that it is real, making use of subtle touches and strokes to great effect. The novel itself is one that gives you permission to set it down every few chapters, though I feel like I missed a lot by reading it over a period of several months. If you want something that you can dip into, immerse yourself, and then put down when you need to do something else, JSaMN is a great novel for you, but the foreshadowing, the subtle hints and connections that run throughout the text—and footnotes—are best experienced in a shorter period of time than a longer. The care and attention to detail that Clarke paid at every level of the novel is perhaps most evident here, and connections that she placed on almost every page make for satisfying payoffs at later parts of the novel. The conclusion tends much more towards a typical fantasy feel, with battles, mortal peril, and the ultimate struggle of good versus evil with high stakes—and it makes for satisfying conclusion to the events that have been slowly building over the previous thousand pages. Most people’s main complaint with the book is the amount of time it takes to get interesting. While I agree that it did not have me completely hooked until maybe 50-60% of the way through, where the conflict begins to become clear and the real plot seems to begin, the prose and delightfully interesting worldbuilding held me through the entire book, and I was never really “bored” while reading. In summary, JSaMN is a brilliantly written, if slightly stiff and slow, novel with an incredibly intricate world that enchanted me, even though it didn’t completely hook me for the first half, which falls heavily on the side of showing and not telling, and which will allow you to read a chapter or two at a time—until the very end, when it morphs into a more standard fantasy and the slowly building tension and carefully laid foreshadowing come to a tense, gripping conclusion. Four of Five stars, and recommended if you like carefully written, beautiful books that are a little slower than the fantasy norm. Bloomsbury’s site for the book.